Taste and quality should definitely fit in to your priorities when choosing an alcoholic drink. Is there a country that can boast a greater array of alcoholic tipples than France? Whether it’s Bordeaux wine, Champagne from Champagne, Normandy cider, beers and spirits from Cognac to Cointreau, France has always been a bulging drinks cabinet. But the locals it seems are drinking less and less, according to an industry survey. Indeed the level of consumption of alcoholic drinks has fallen over a lengthy period. 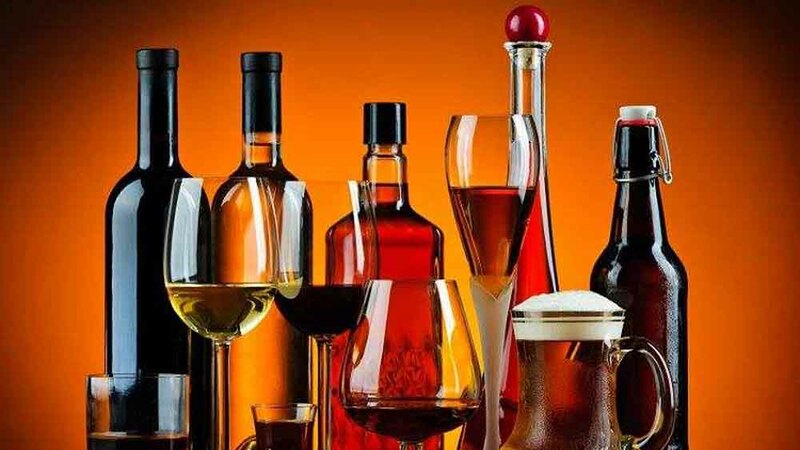 On the other hand, India's alcohol industry is the third largest in the world with a value of $35 billion. Various startups have emerged to gain a share of this rising market. The microbreweries we see sprouting in every corner of the city are here to stimulate India’s brew business. While microbreweries are making their mark, there are industry experts who have a different approach when alcohol is concerned. The relationship young people have with alcohol is strongly influenced by the western culture. Our culture normalises the consumption of alcohol creating a relaxed attitude towards alcohol and the view that it is not harmful. This culture also influences how young people view alcohol. Ankur Chawla, Director of Beverages, JW Marriot, New Delhi says, “How beverage is experienced today is changing and it is way beyond the theoretical concepts. So it is the experience now that matters. The evolution in the beverage sector has a lot of examples he adds. New global research into drinking attitudes of millennial consumers (aged 21-35) has revealed that self-awareness and staying in control are the motivating factors for moderating alcohol consumption during a night out. 75% of millennials say they now limit the amount of alcohol they drink on the majority of their nights out. The popularity and reach of social media among this age group means that control of their self-image is paramount. Viewing alcohol as something that is not harmful can encourage young people to drink at an earlier age and aspire to be part of the general drinking culture they see around them, which includes harmful alcohol consumption. On one hand, moderate amounts have been linked to health benefits. On the other hand, it is addictive and highly toxic when we drink too much of it. Taste and quality should definitely fit in to your priorities when choosing an alcoholic drink. The x-factor for a great night out is shifting, with millennial prioritising good food and friends over excessive alcohol consumption. They are also searching for 'new experiences' (49%) rather than the same old 'great entertainment' (39%). “Looking at a bottle and the way it is presented makes a customer choose their drink and it is amazing. People are very particular about their requirements and taste and it is both for alcoholic as well as non-alcoholic drinks. The way we serve has also changed. In fact, I feel that the popularity of a beverage brand depends a lot on hotel than a consumer”, added Chawla. Talking to Rahul Singh, President, National Restaurant Association of India (NRAI) & Founder & CEO, The Beer Café about the importance of educating the masses on ‘Smart Drinking’ said,” Drunk Driving is a blithe and must be stamped out. So many innocent victims lose their life due to driving while under the influence of alcohol. Curbing this menace isn’t the job of police alone but of bar owners and patrons as well. National Restaurant Association of India partners with different cab aggregators during New Years and Christmas to discourage drunk driving amongst guests and also participates in campaigns - sensitizing customers; and encouraging smart drinking by training restaurant staff for serving customers responsibly. “It’s suggested that guests who have consumed alcohol should take the breathalyzer test (if available) in the bar before exiting the restaurant premise”, added Singh. Calling it as a trend implies to the decrease in alcohol consumption and acquiring the taste for quality liquor. To keep it simple, Drink less and drink the smarter way.